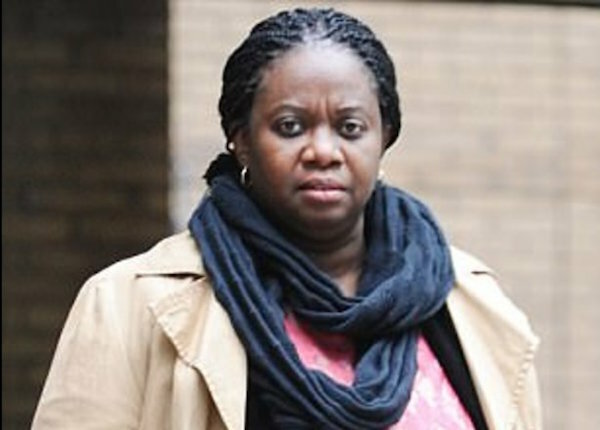 A GP and her husband are accused of trafficking a Nigerian woman to the UK before making her work 18-hour shifts and beating her when she asked for higher wages. 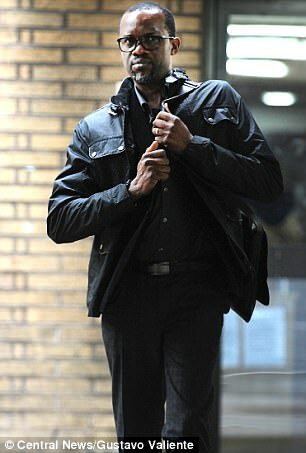 Dr Ayodeji Adewakun, 44, and Abimbola Adewakun, 48, are alleged to have paid babysitter Iyambo Olatunji just £20 a week for looking after their two young children at home in Erith, south east London. 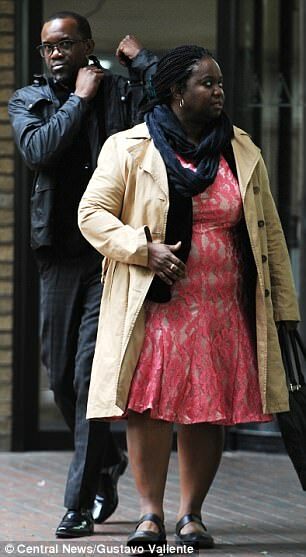 Ms Olatunji, 37, told Southwark Crown Court that she was also made to work long arduous days cleaning their house before staying late and cooking the couple dinner. She claims that when she asked for higher wages, she was slapped by Mr and Mrs Adewakun. The Adewakuns’ first met her back in her home town of Ondo State where she was working as a secretary for the local government in return for 40,000 Nigerian naira. After spending time working for Mr Adewakun’s pastor father as a teen ‘house-helper’ in the 1990s, she was invited to make the trip to London to work as a babysitter for the pair. Ms Olatunji told the court Ayodeji, or ‘Aunty Ayo’, ‘said she would look after me’. ‘She said I would be fine,’ Ms Olatunji continued. ‘I am not sleeping at 8pm or 9pm – it is midnight,’ said Ms Olatunji. ‘Sometimes she would speak nicely to me – 25% nice to me, 75% anger,’ Ms Olatunji said. ‘She did not pay me. The first occasion, coinciding with her birthday, was documented in a diary she kept, which also detailed the lax payment schedule. Jurors heard the babysitter wrote: ‘Aunty fight with me today. ‘She slapped my face twice. What a wicked world we live in. Am happy this happen about because am 100% sure the woman will get justice. I mean am happy it happened abroad. God help. They think they can do abroad what they do at home. Shame on them. I can't imagine how some people claim they're rich when they're actually very poor. Bcos truly rich people don't cheat poor people. I really wish I could slap her fat ugly face. Olosi!